A directory server provides a centralized directory service for your organization. It is alternative to windows active directory. This post will describes how to install and configure 389 LDAP Directory Server with a basic Lightweight Directory Access Protocol (LDAP) directory implementation. 389 Directory Server was formerly known as the Fedora Directory Server and it is an enterprise-class open source LDAP. 389 Directory server has been developed by Red Hat, as part of Red Hat’s community-supported Fedora Project. What packages and versions are available in EPEL? This program will set up the 389 Directory and Administration Servers. It is recommended that you have "root" privilege to set up the software. 389 Directory Server system tuning analysis version 23-FEBRUARY-2012. NOTICE : System is x86_64-unknown-linux2.6.32-431.el6.x86_64 (1 processor). Allows you to specify common defaults and options. recommended for experienced server administrators only. To accept the default shown in brackets, press the Enter key. WARNING: There are problems with the hostname. Please check the spelling of the hostname and/or your network configuration. If you proceed with this hostname, you may encounter problems. The servers must run as a specific user in a specific group. Server information is stored in the configuration directory server. provide the CA certificate (in PEM/ASCII format). be prompted to set up one. will also be prompted for the password. responsible for managing the domain. default value will be a random unused port number greater than 1024.
superuser, that port 389 is not in use. Each instance of a directory server requires a unique identifier. as well as for other uses as a server instance identifier. The suffix is the root of your directory tree. The suffix must be a valid DN. It is recommended that you use the dc=domaincomponent suffix convention. you should use dc=example,dc=com for your suffix. but you may have more than one suffix. Use the directory server utilities to create additional suffixes. Certain directory server operations require an administrative user. bind Distinguished Name (DN) of cn=Directory Manager. be at least 8 characters long, and contain no spaces. Press Control-B or type the word "back", then Enter to back up and start over. will remember and which will not be used for anything else. servers. Enter No or go Back if you want to change something. Creating directory server . . . Your new DS instance 'ldap' was successfully created. Creating the configuration directory server . . .
Beginning Admin Server reconfiguration . . . Creating Admin Server files and directories . . .
Updating adm.conf . . .
Updating admpw . . . Registering admin server with the configuration directory server . . .
Updating adm.conf with information from configuration directory server . . .
Updating the configuration for the httpd engine . . . Starting admin server . . . The admin server was successfully started. Admin server was successfully reconfigured and started. 389 Directory Server is an enterprise-class open source Lightweight Directory Access Protocol (LDAP) server for Linux and based on Fedora Directory Server. 389 Directory server has been developed by Red Hat, as part of Red Hat’s community-supported Fedora Project. This steps has been tested on CentOS 6.4 x86_64 and may work on other version of CentOS as well. NOTICE : System is x86_64-unknown-linux2.6.32-358.2.1.el6.x86_64 (2 processors). WARNING  : The warning messages above should be reviewed before proceeding. Your new DS instance 'centos64' was successfully created. Beginning Admin Server creation . . .
Admin server was successfully created, configured, and started. This post will share with you on how to increase file descriptor on 389 Directory Server. The steps should be similar either in CentOS or Redhat Enterprise server. 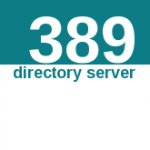 389 Directory Server is an enterprise-class open source LDAP server for Linux. It is based on Fedora Directory Server. This post will share with you on how to perform system tuning analysis, install and configure 389 Directory Server on linux CentOS 6.2 server. 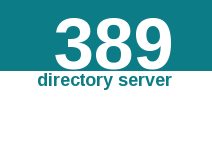 389 Directory Server is an enterprise-class open source LDAP server for Linux. It is based on Fedora Directory Server. This post assumed that your CentOS server has been completely setup EPEL repository. Before start to configure the 389 Directory Server, it is better to adjust some performance and security settings. Follow the following steps to tuning the 389 Directory Server on CentOS 6.2.
a) Decrease the time default value for tcp_keepalive_time connection. Edit the /etc/sysctl.conf file and add the following lines to the bottom of sysctl.conf. Make sure you have assign or upgrade the physical memory to at least 1024MB. This post will show you the quick steps to install 389 Directory Server on linux CentOS 6.2 server using EPEL repository. This post assumed that your CentOS server has been completely installed with minimum packages and the hostname and FQDN also has been configured correctly. Please make sure that you have configured EPEL repository on your CentOS 6.2 server. On previous post, i already shows you on how to tuning and install 389 Directory Server on linux CentOS 6.2 server using EPEL repository. Again, before proceed to setup and configure 389 Directory Server on linux CentOS 6.2 server, please make sure that the hostname and FQDN also has been configured correctly. 389 Directory Server system tuning analysis version 10-AUGUST-2007. NOTICE : System is i686-unknown-linux2.6.32-220.4.1.el6.i686 (1 processor). Your new DS instance 'centos62' was successfully created. This post will guide you on how to start, stop, restart and check dirsrv status for 389 Directory Server on linux CentOS 6.2 server. This post assumed that you have already installed and properly configured the 389 Directory Server on CentOS 6.2. I will show the ports that need to be by passed in iptables firewall in order to make 389 Directory server accessible and working perfectly. Before the Windows Console (installed 389 Console.msi) from client’ PC connecting to 389 administration server, there are 3 important ports has to opened from iptables firewall. This will allow linux administrator or LDAP administrator to perform LDAP server search query or linux administration’s task. There are three(3) ports that are normally should be opened on 389 Directory Server. Hope this complete steps may help you to prepare, tuning, install and configure 389 directory on your linux server. On previous post(Install 389 Directory Server) shows you on how to install 389 Directory Server on linux CentOS 6.2 server using EPEL repository. 389 Directory Server is an enterprise-class open source LDAP server for Linux. It is based on Fedora Directory Server. Before proceed to setup and configure 389 Directory Server on linux CentOS 6.2 server, please make sure that the hostname and FQDN also has been configured correctly. This post will guide you on how to start, stop, restart and check dirsrv status for 389 Directory Server on linux CentOS 6.2 server using EPEL repository. 389 Directory Server is an enterprise-class open source LDAP server for Linux. It is based on Fedora Directory Server. This post assumed that you have already installed and properly configured the 389 Directory Server on CentOS 6.2. In this post, i will show you the quick step to remove 389 Directory Server on linux CentOS 6.2 server. This is actually to remove the directory instances. This can be perform by using ds_removal or remove-ds.pl. It will remove all of the instance specific files and paths except for the slapd-INSTANCENAME directory, which is just renamed to slapd-INSTANCENAME.removed. If you don’t want to keep any of your configuration or key/cert data, you can erase this directory. If you are using the console/admin server, and the machine is the one hosting the configuration directory server (i.e. this is the first machine you ran setup-ds-admin.pl on), and you just want to wipe out everything and start over, use remove-ds-admin.pl. WARNING: This command is extremely destructive! do this, you must give the -y option.